Discussion in 'New Builders Corner' started by Jay420vape, Jan 8, 2017. I've heard of some folks using nitrile gloves. @VAPEROXX or @Pegleg Meg any hints? Occasionally I use VG or even a touch of Corn Starch to allow the decore to slide smoothly. carlcall, zephyr and gopher_byrd like this. Well I had a couple of goes this morning on the Aliens with Ni80 28*2/36 and the first attempt was a complete fail. I could do with something that I could hold between my fingers that would let it pass through well enough and keep the tension there.....anyone got any suggestions? Firstly, for a 2x28 alien, you are making your decore on a 30g core right? mach1ne and carlcall like this. Thank for the replies guys and Meg I'm just using the 28.....I'll have a go with the 30 when I get some. Built this tonight... first attempt at anything like this... not as tight as I would like and I goofed the spacing a couple of times, but I'm happy with it for a first attempt... it vapes amazingly well!! Twisted 28g framing .5 ribbon x5 and helixed with 38g... would probably helix with a slightly bigger wire next time. gopher_byrd, carlcall, mach1ne and 1 other person like this. Troy44 and Meekrakkin like this. Troy44, MannyScoot, gopher_byrd and 2 others like this. We'll get there one day bro and we will be knocking them out really fast and perfect! MannyScoot and CrazyChef v2.0 like this. You'd be surprised just how true this statement is. Once you get the basics down, you'll be able to make aliens with the drill going full speed. Many thanks to you all especially @Pegleg Meg for telling me to use a 30g for the decor as it was really easy. My fifth attempt because the dog came in for a nosey on my fourth. They just need straightening out once my nylon pliers eventually arrive. Troy44, gsmit1 and zephyr like this. Troy44, MannyScoot, gsmit1 and 2 others like this. Troy44, MannyScoot and zephyr like this. Then it's not SS316L brother. I've done the math every which way. Not possible to get that resistance from those coils in SS316L. zephyr and VAPEROXX like this. That's .13 ohms each. And as unreliable coil builders usually do, or should I say, DON'T, they don't specify SS316L, SS317, SS430, etc. You might rethink from whom you purchase your coils...just trying to help ya. And those are 5.5 wraps. Not 6. 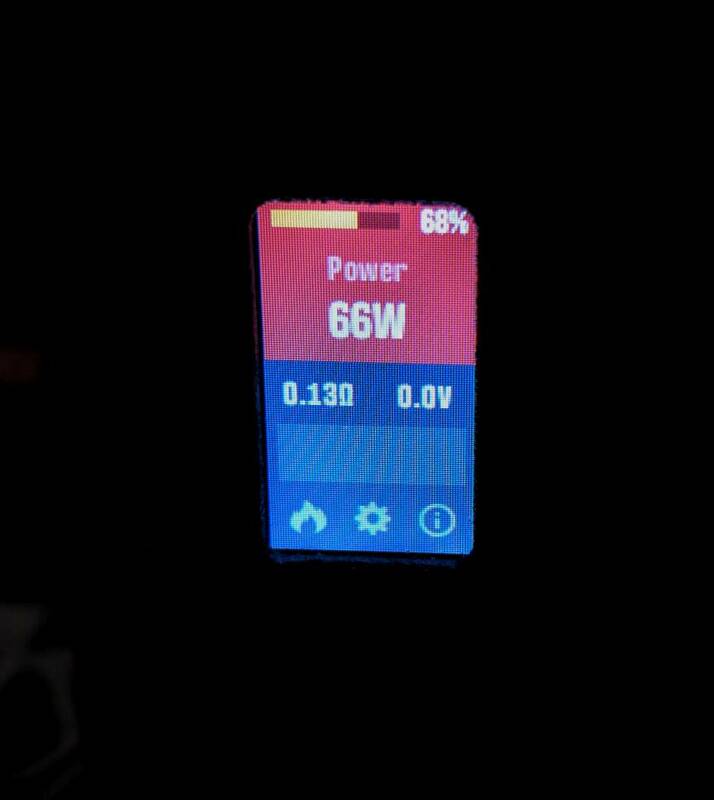 I'm really curious as to how you're getting 0.13Ω off of 3 coils when they're rated 0.13Ω each. Yeah that's what I'm thinking now ? I'm thinking they're listed 0.13Ω as a pair, because I'm getting a little over 0.26Ω/pair on SE. But I'm basing that on the length of the coil legs (about 15mm) BEFORE installation. After installation, they're more like 2mm. Kanthal comes to exactly .13 when run in triple 5.5 wrap Alien configuration. At 2mm, they should be around 0.08Ω for a triple install. Hold a magnet to one of the coils. 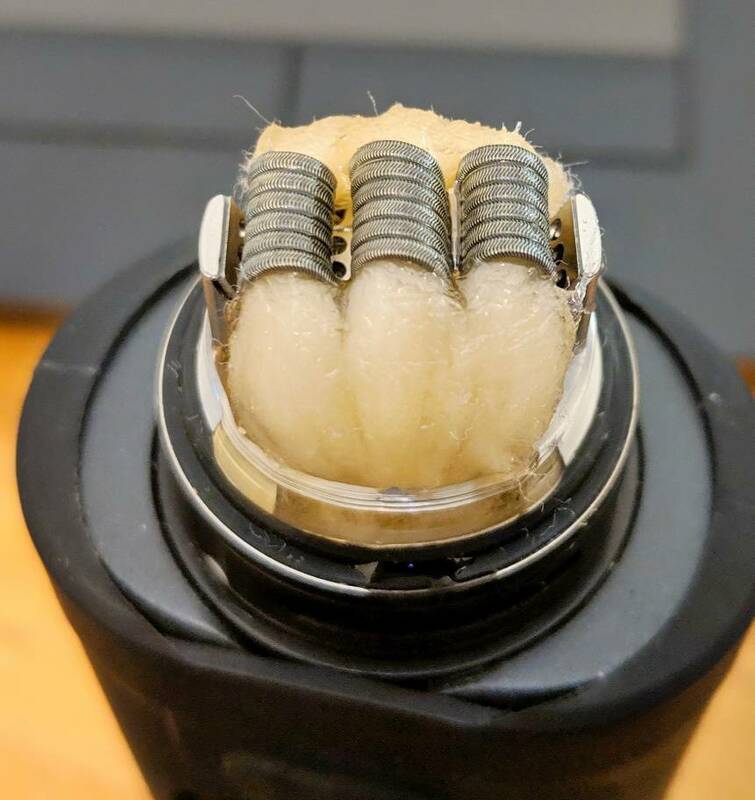 For SS316L Aliens, 5.5 wraps, 3mm ID...I'll build you 6 coils for that. Just for science. MannyScoot, zephyr and f1r3b1rd like this. I had a pair of aliens in the Scottua for over 6 months before I sold it. zephyr, f1r3b1rd and MannyScoot like this. Dude, that's like buying a new shirt every time one gets dirty. Yeah, a lot of people put far too much effort into cleaning their coils. I just pull out the wick, dry burn the coil and blow off the residue, re-wick and I'm good. Like I said, one set of coils lasted over 6 months doing only this. The coils I'll send you will clean easily. 24 should last a loooong time. @MannyScoot I wonder, did you have a different tank, with dual coils, on the Boxer before the Triple, and locked the ohms before you swapped tanks? Have you seen the cores color up, or just the 36g alien wrap? gopher_byrd and MannyScoot like this. 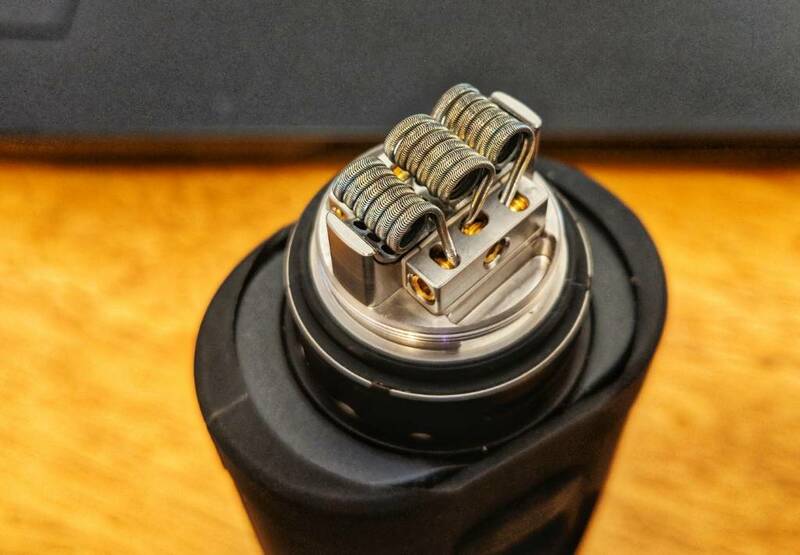 You use these coils a lot right, what do they ohm in dual coil atties? I just dont know how... the math doesn't add up. Then he lied to you. Or he's using subpar SS316L. You cannot change the physical properties of an alloy without making a separate alloy.